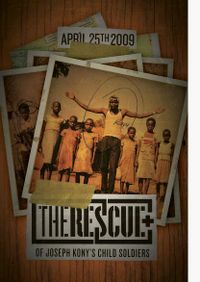 8 Marketing Lessons From "The Rescue"
On April 25th, tens of thousands of people across the world “abducted themselves” as part of “The Rescue” in a show of support for the child soldiers that have been recruited over the past 20+ years as part of the conflict in Uganda and neighboring countries. The documentary has spawned several interesting real life advocacy events, and I have written about them before on this blog. What’s different this time around is that Twitter and Facebook have both become far more dominant as means of communication for many socially active people. “#therescue” was a trending topic on Twitter for much of the weekend and continues to stay in a the Top 5 spot even as the threat of #swineflu remains a hot online topic. View more presentations from rohitbhargava.